AEEE 2019 Slot Booking has been started for CBT exam. Admit Card has been released through online mode on 16th April 2019 (for P&P exam). Amrita Engineering Entrance Examination (AEEE) is a university level entrance exam. 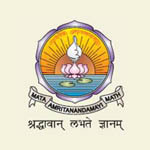 This exam is regulated by the Amrita Vishwa Vidyapeetham. It is organized to get admissions into four year Bachelor of Technology (B.Tech) programme. Through AEEE, candidates will get admission into Amritapuri (Kollam), Bengaluru and Ettimadai (Coimbatore) campuses of the University. Here, we have updated the complete information regarding to the AEEE Admit Card 2019. AEEE 2019 Slot Booking for CBT exam has been started from 12th April 2019. Click here for slot booking. AEEE 2019 Admit card has been released on 16th April 2019 for P&P exam. Click here for admit card. Candidates can get their AEEE Hall Ticket 2019 through the online mode. The AEEE admit card has been available after the slot selection process through online mode. The slot booking process for CBT mode exam has been started from 12th April 2019. No admit card will be sent to the candidates by post. The admit card has been released from 16th April 2019. The AEEE 2019 Hall Ticket contains candidate name, candidate registration number, exam date, exam center address, etc. Candidates will not be allowed to enter in the examination hall without valid admit card. Candidates have to save their AEEE Hall Ticket used in the examination hall having the signature of the examiner. Candidates have to produce the same admit card at the time of counselling. The AEEE 2019 Entrance Exam will be held through online & offline mode. The Computer based test will be organized from 22nd to 26th April 2019. The Pen & Paper based exam will be conducted on 27th April 2019. Candidates can download their AEEE hall ticket 2019 once the slotting process is over. The slot booking process for CBT exam has been started from 12th April 2019. The AEEE result will be declared on 5th May 2019. After a few weeks of the result announcement, the counselling process will begin. Enter your “Application Number” & “Date of Birth”. Download your hall ticket/admit card for further procedure. Candidates who will be registered for Amrita Entrance Examination-Engineering (AEEE)-2019 can book their Computer Based Online Test (CBT) test centre, date and time slot in April month. The registered candidates can select “TEST CENTRE, DATE AND TIME SLOT” of their choice, SUBJECT TO AVAILABILITY, during slot booking. Test Centre, Number of days and Number of operating slots in a day will be finalized based on the number of candidates registered in a particular CBT Centre. If a Test Centre is cancelled due to very less registrations at a particular Centre, the candidates who have opted for that Centre will be allotted another nearest Centre. Candidates will be informed about the change individually. After successful login, the screen will appear and you can select your Test Centre. After selection, click “Continue” button. In case of any issue, do not use browser back button. You are advised to close the browser and login again. When you click continue button after selecting your Test Centre, your selection will be displayed in the next screen and you can select your TEST DATE based on its availability. Available dates are shown with green color background inside April 2019 calendar. To choose the date, click on the available date and click “Continue” button. In the next screen, you will be prompted to select test slot. When you click continue button after selecting your Test Date, your selection will be displayed in the next screen and you will be prompted to select test slot based on its availability status. Since other candidates are also simultaneously using the same slot booking portal, sometimes the status presented to you may change by the time you finish your selection and the particular slot chosen by you may not be available. In such case you will be prompted to choose another date and hence slot on that date. To change the test date, click on Change Test Date button. Allotment of “DATE AND TIME SLOT” will be done on a first-come-first-serve basis. Click “Confirm Slot” button to confirm your booking. You are advised to check selection of Test Centre, Date and Time before confirmation. A slot once booked cannot be changed under any circumstances. Requests for change of Test Centre also will not be entertained. Once you confirm your slot booking, you will see the selection information in a screen. Click “Print Admit Card” button to print your admit card. If you have any query about AEEE 2019 Admit Card, you can drop your comments in the comment box. Link is given to download admit card is given in the article. Book your slot through the link given in the article and then download admit card. Showing application no is wrong how to book the slot now. It will start soon. We will update as soon as slot booking starts. Is it necessary to send the filled application to the specified address if we applied through Online mode. Is there a chance to change the examination center.